tutorial demonstrates how to create a tea towel from linen or cotton. You can make a tea towel out of linen or high quality cotton. For this collection we used white linen. 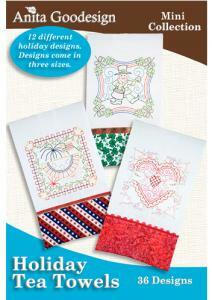 For an added touch you can add decorative holiday fabric to the bottom of each towel.